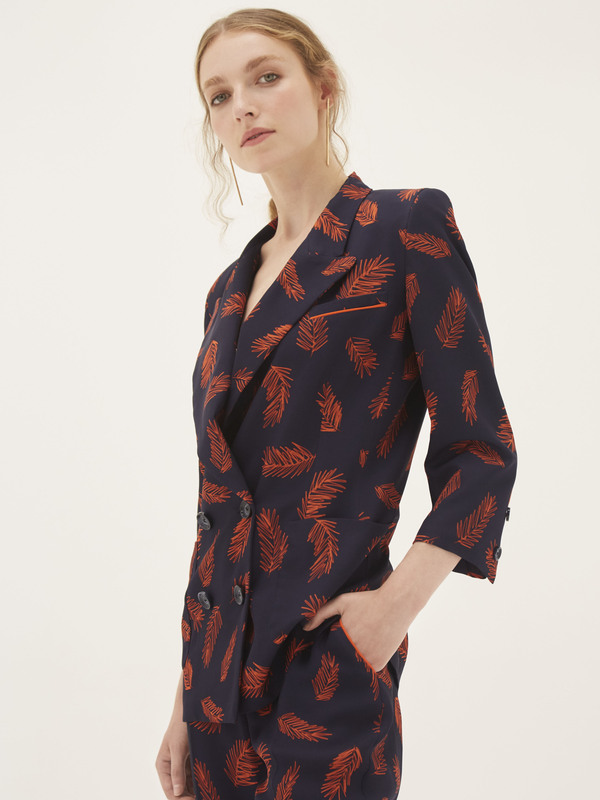 This soft tailored jacket with original orange and navy print designed by Bozena, is a take on a classic wardrobe staple with a modern twist. 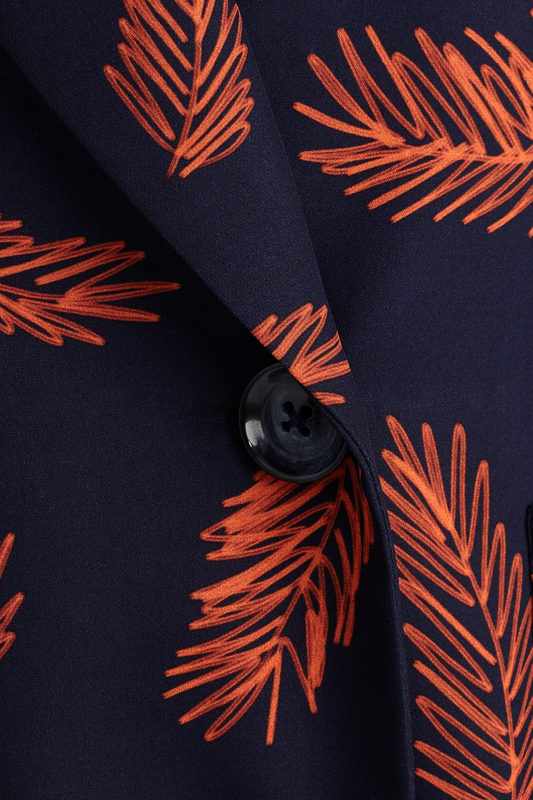 The print of the Manuka Jacket is inspired by the fine and delicate hairs on a bee body which when magnified resemble tiny feathers. 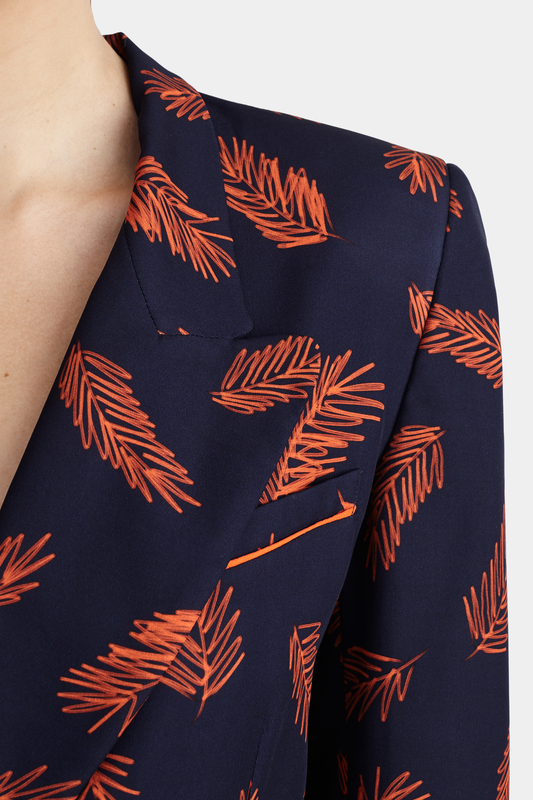 An orange piped breast pocket and orange detail cuffs add an extra touch of understated luxury. Dress down with a pair of jeans or dress up with the matching Manuka trousers. 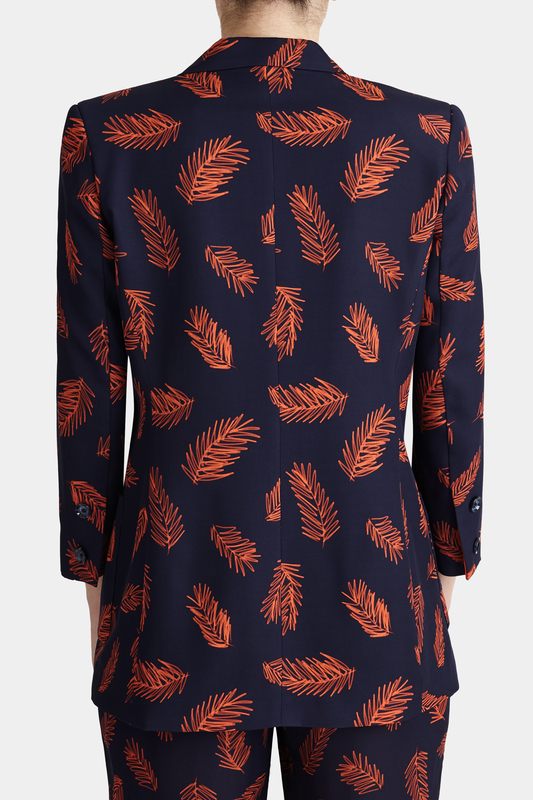 -Double Silk Georgette -Original digital Print -Fully lined with orange piping detail -Double breasted with four front buttons. 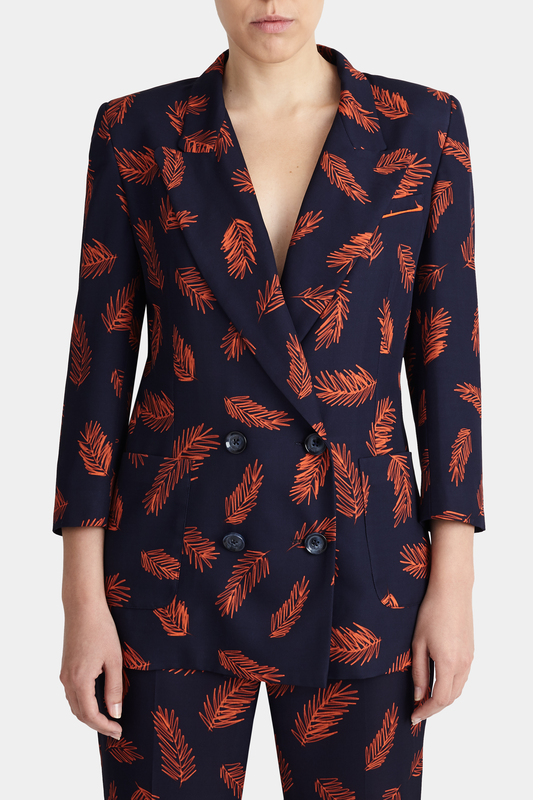 100% Silk; 100% Silk Lining.Dry Clean Only.